OTL.... this is too much work... like seriously... good thing I had a helping hand this time. 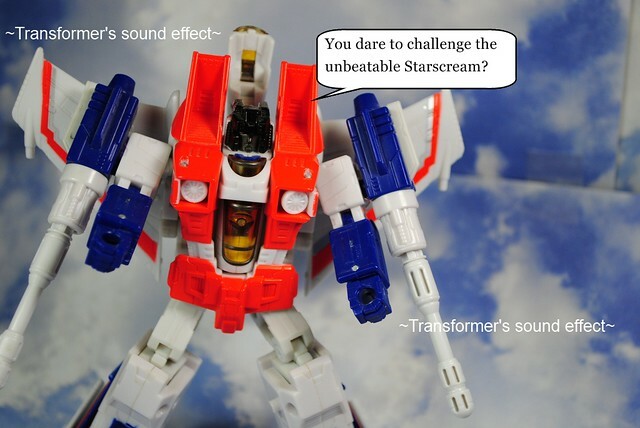 Anyways, enjoy this "high production" figure story and make sure to see those two gifs. 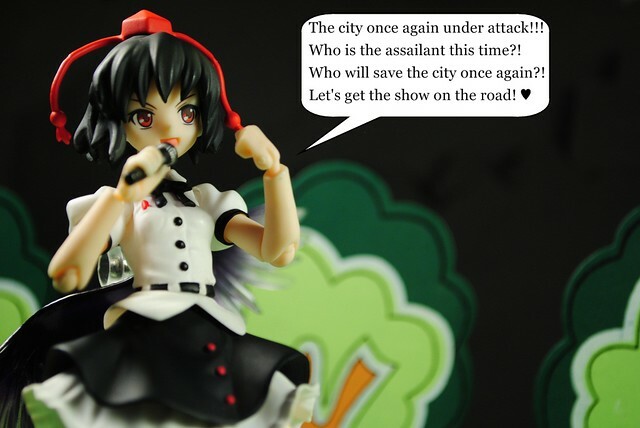 A continuation of this other figure story. Now, behold the power of animation!!! City gets attacked again? Sounds like a scoop to me. 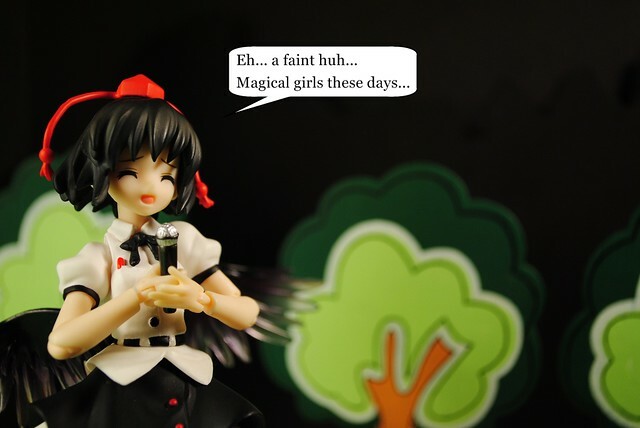 Aya, diligently performing her work as usual. 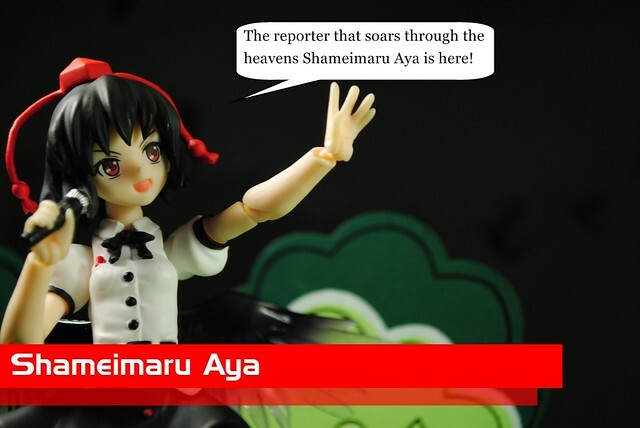 A little to flashy with that title there Aya. 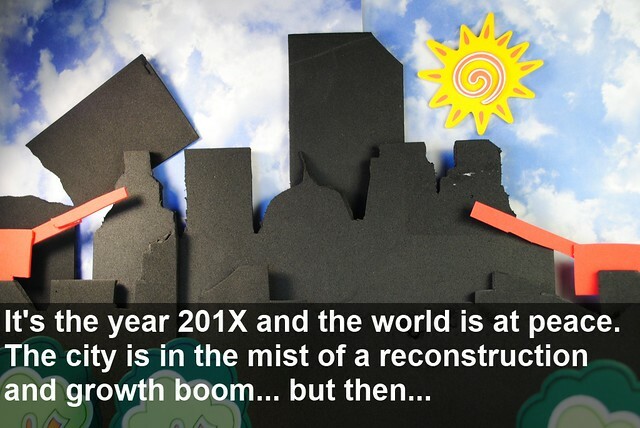 That sounds more like some MC building hype than reporting if you ask me. 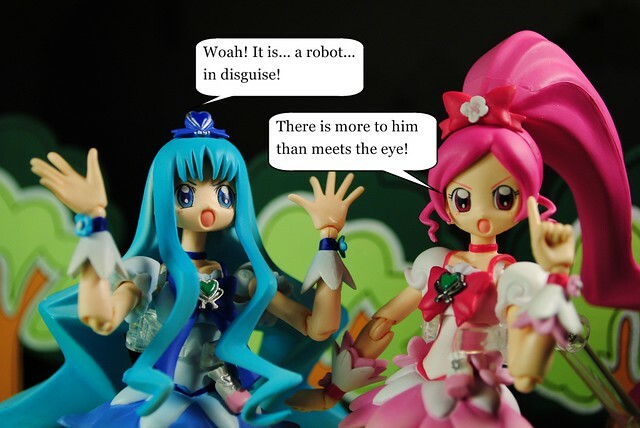 Did I ever mention the Pretty Cure franchise is really awesome. In paritcular Heartcatch is my favorite show so far. 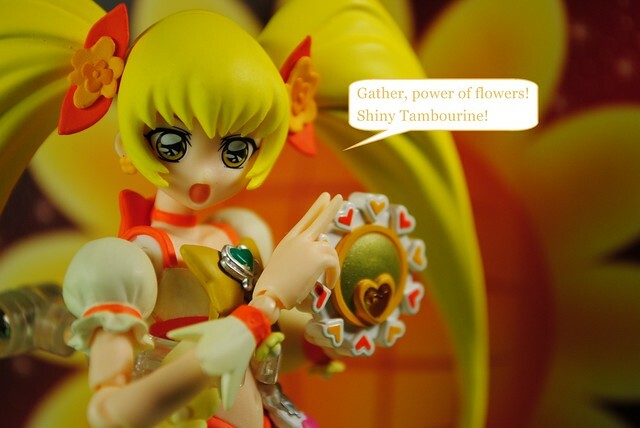 It's like mixing Casshern Sins, Kamen Rider and magical girls. You know, this bugs me to no end. 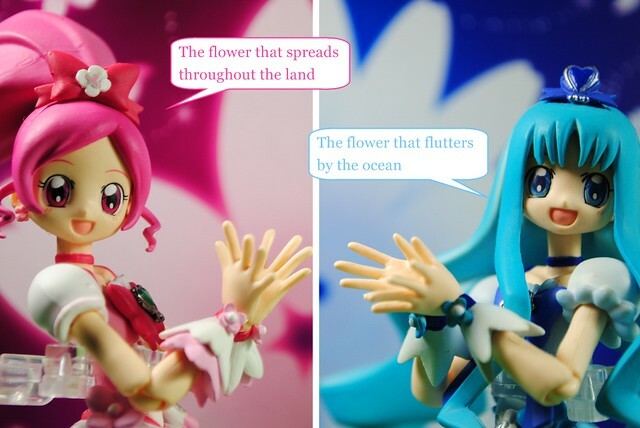 Why is Precure not popular in the west? It certainly has great appeal for various audiences. 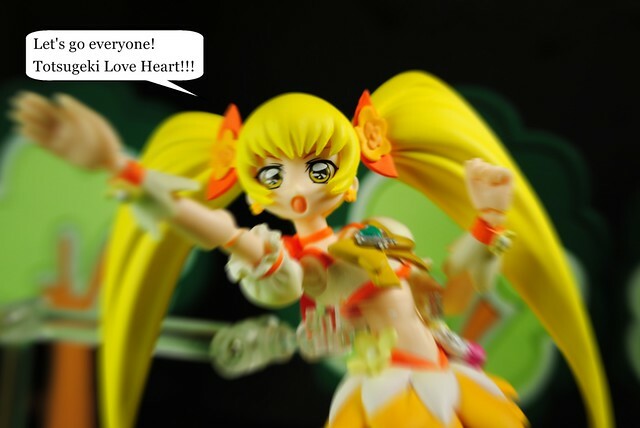 I mean, if you like stuff like Nanoha, any Super Sentai or Kamen Raider show then Precure is for you. 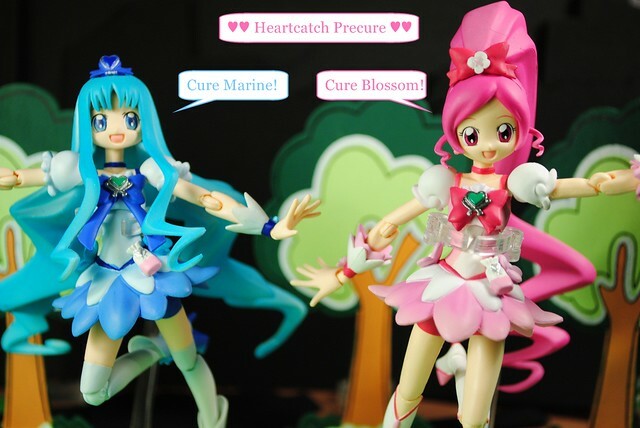 Also goes for magical girl fans in general, heck Precure is made by the same studio that brought Sailor Moon to the world. This sequence of events is pretty typical for a Heartcatch episode. 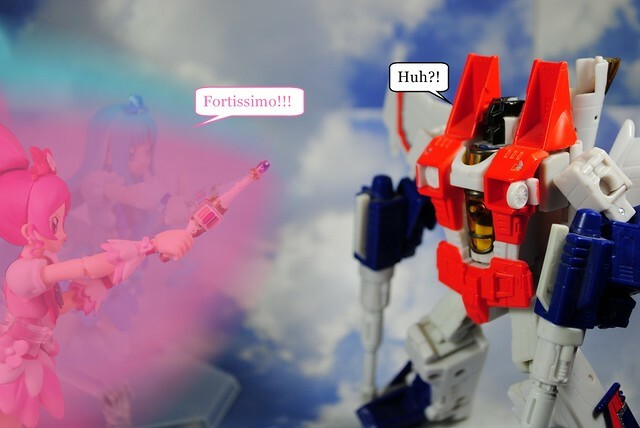 In case you are wondering for the reason behind the attack, it's just some ploy to overthrow Megatron... or steal energon... or something or other that Starscream would do. So I learned that for being such a distinct sound effect, that transforming sound has no consensus as to what the onomatopoeia for it is. As one comment on flickr put it, legendary dialogue... legendary indeed XD. 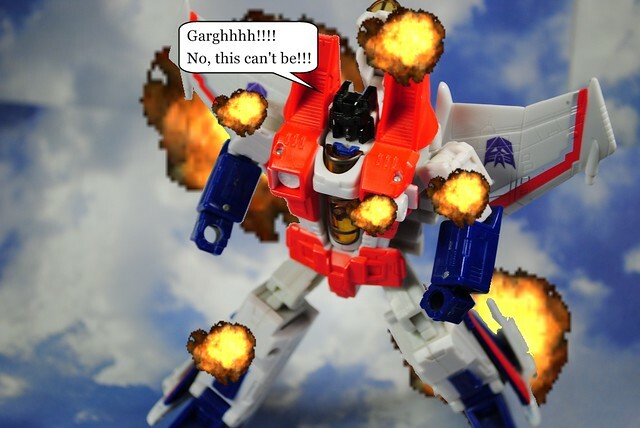 exilehero helped me out with some of the special effects. It's so nice to have help with this stuff, while not necessarily hard to do, it is time consuming. Hmm... I don't think I have a comment for this one. 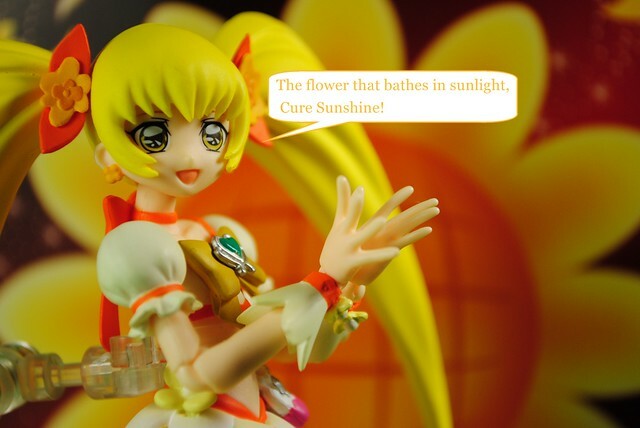 This is the sunny in the title, the third Heartcatch Precure girl. She is cool, she knows martial arts and stuff. 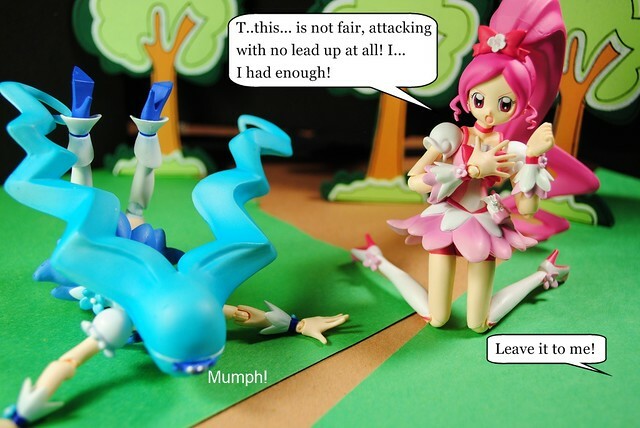 Yes, Precure fight using tactics and strategy every now and then. Now this is one of the things I love the most about Heartcatch... the finishing moves and the combos using them. I wanted to add sound to this animation, but exilehero was telling me that would be making a movie rather than some gif animation. Boasting, the number 1 cause of defeats for evil doers everywhere. These girls so totally did this in the show proper as well. Really awesome plot relevant episode. 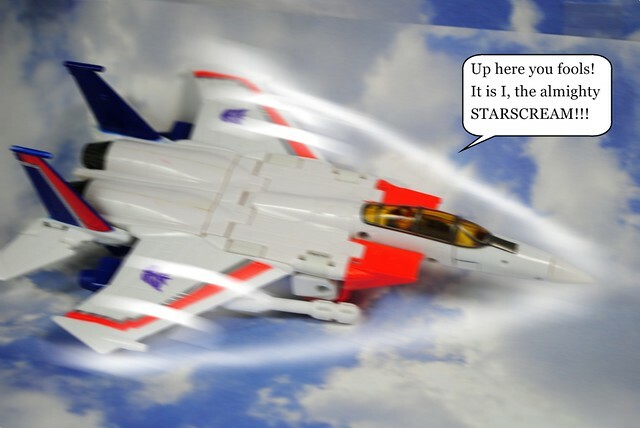 Poor Starscream totally got hit head on by the attack. 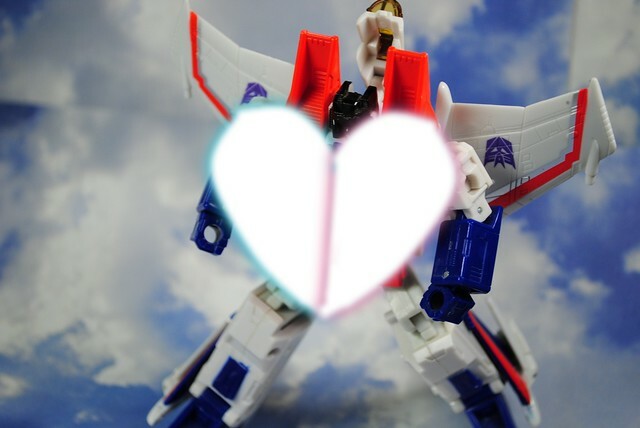 This means only one thing. 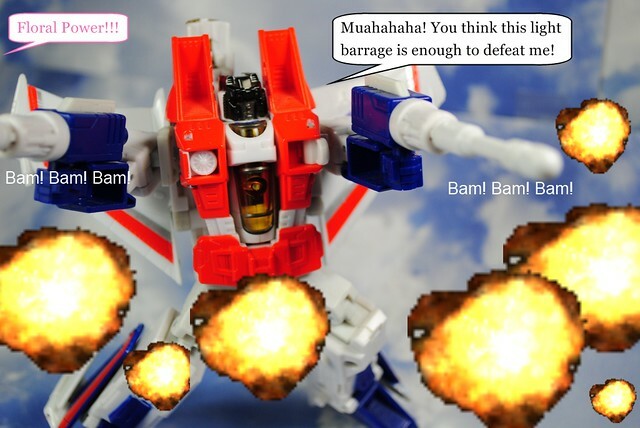 Go Starscream, explode all Megaman X Maverick boss style. 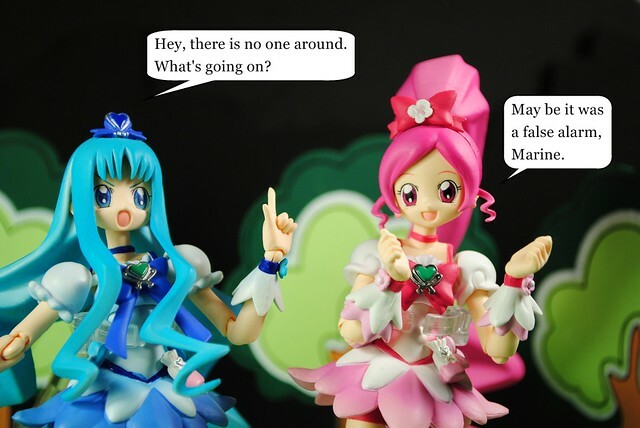 Indeed it was Aya, this is how Precure roll. 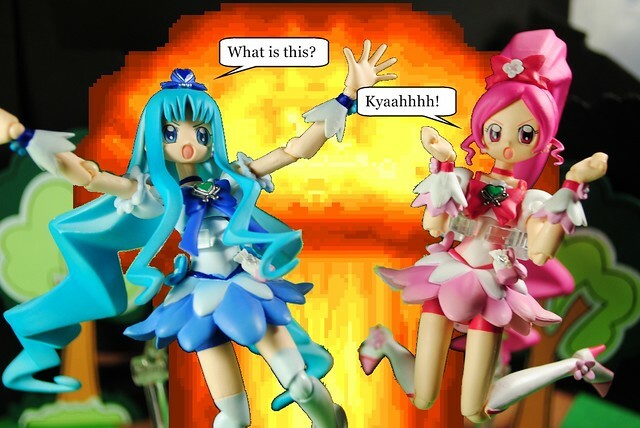 One last thing to mention, when I first watched Precure this is exactly how it was for me. I watched Futari wa Precure first, I did expect something like Doremi but boy did I get something else.